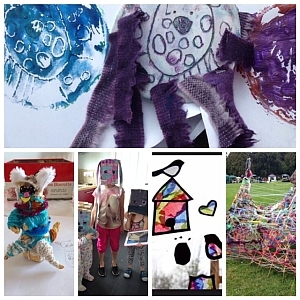 Children aged 5-10 years work with a variety of materials from paper mache to acrylic paint and work on 2d and 3d projects focusing on colour, texture and construction using recycled materials i.e. plastics, paper, fabrics, wood and glass. 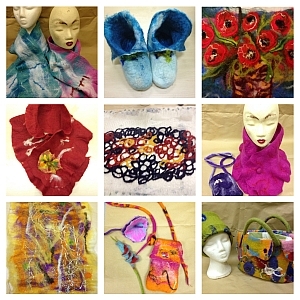 Kildare Arts & Crafts prepare a brand new portfolio for each term and strives to constantly Innovate their programs. Every term tackles a new theme and a set of learning objectives. They aim never to repeat the exact same activity twice. 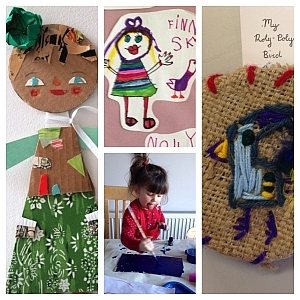 Check out the Kildare Arts and crafts page on facebook to see the variety of projects. 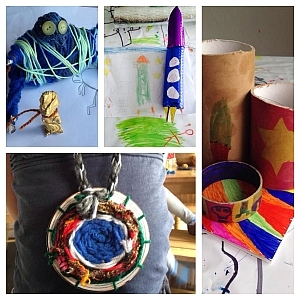 WEIRD AND WONDERFUL WOOLY WORKSHOPS!! 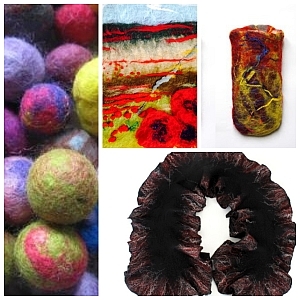 At Craftspun Yarns, The Mill, Johnstown, Naas, Co. Kildare. Tactile, colourful and versatile, these wet and dry feltmaking classes are easy for the complete beginner and endlessly rewarding for the seasoned artist.They are particularly suitable for teachers wanting to explore the fabric and fibre strand of the arts curriculum and to introduce wool to their students.Check out Knitwear.ie facebook page to see some of the work completed by students at the classes. Liadain De Buitlear is also available to come to your school and tailor projects which suit your individual requirements. All equipment, materials and refreshments are provided as part of the course fee. As places are limited booking is essential. 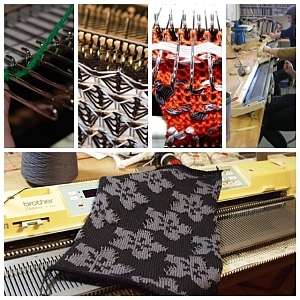 Learn the basics of machine knitting in an informal setting ,from setting up your machine to casting on/off and basic shaping on the single bed. One-to-one tuition is standard and additional classes can be booked. Please contact us if you are interested in taking part in this course. 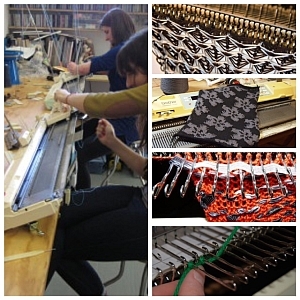 You will need to bring your own knitting machine and all yarn will be supplied by us. We do have machines that you can use,but you will need your own for practice afterwards. You can also book advanced classes with us.